Claim: this is a photo of Marie Curie, a Polish and naturalized-French physicist. The claim is false. That is a photo of Susan Marie Frontczak taken by Paul Schroder in 2001. 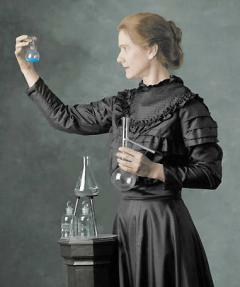 More accurate caption: Marie Curie as portrayed by Susan Marie Frontczak.